Gemelli Bakery. Photo Credit James Gherardi. Tucked into a discreet nook of McAllister Alley off of Calder Way, Gemelli Bakery is producing perhaps the best bread that State College has ever tasted. I meandered in early Friday morning, before owner Tony Sapia opened the doors. And that first step into his bakery is one I won’t soon forget. I was hit with an unparalleled, amazing aroma of freshly baked bread. The tiny storefront is deceiving; this place is massive. Tony ushered me into the kitchen where he was mixing up some dough for the day’s batches. He whirled around the space, seemingly doing a million things at once—measuring flour, pouring water into the mixer, answering the phone, talking to his employees—Tony made it all seem effortless. He clearly has been doing this for awhile. Tony said he hasn’t always subscribed to the formalities of being a baker, but he has always loved to do it. He credits his mother with first sparking his interest. Clearly he loves what he does and pours every ounce of himself into his loaves of bread. When I finished snapping photos, he offered me a loaf of multigrain, and it was the best bread I have had since moving to State College three years ago. Being a native New Yorker, I thought I would have to relegate myself to only having great bread back in the Big Apple, but Gemelli has proven to be a strong competitor. The crust was crispy, and the inside was soft and warm. 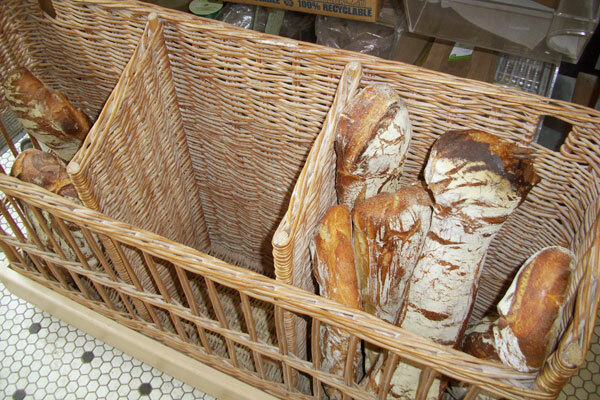 Stop in and grab a baguette or a few cookies, or step inside for a good whiff. This place is worth the smell alone. Bio: James is a senior at Penn State majoring in broadcast journalism. He spent spring 2010 in Rome, and this past summer he worked for the NBC Washington Bureau in Washington, D.C.